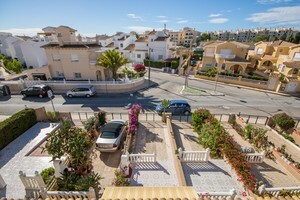 South facing townhouse in the sought-after complex of St. James Hills, Villamartin, that comprises on the ground floor a living/dining room, independent kitchen, 1 WC and conservatory overlooking the communal gardens; 2 double bedrooms and 1 bathroom on the first floor; 1 bedroom and a large solarium with open views and outside shower on the top floor. 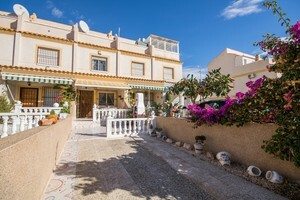 The house also boasts a large front garden with off road parking space, barbecue area and porch. 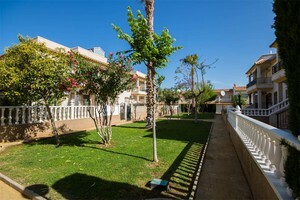 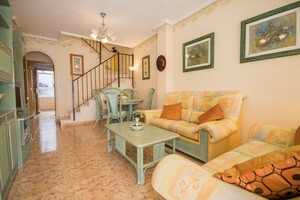 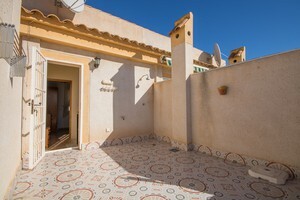 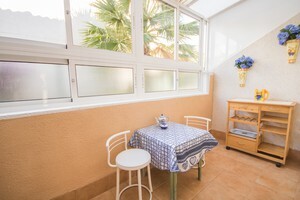 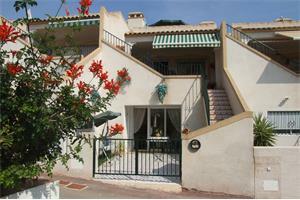 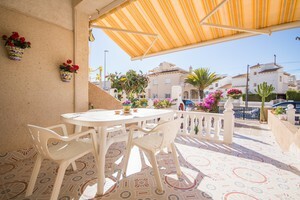 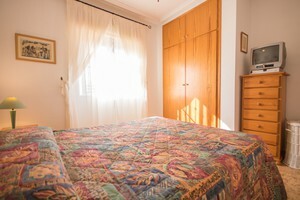 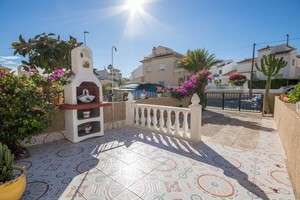 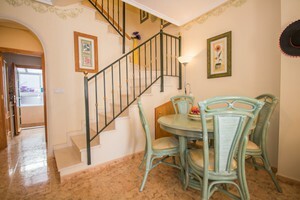 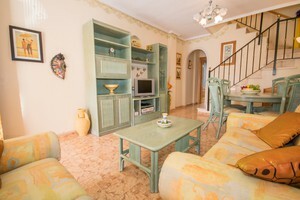 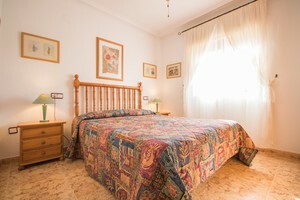 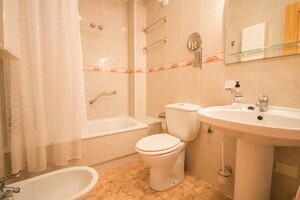 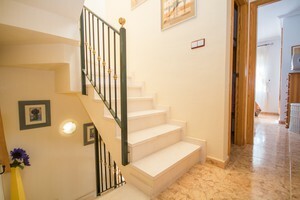 Part of a well maintained gated complex with communal swimming pool, gardens and parking area. 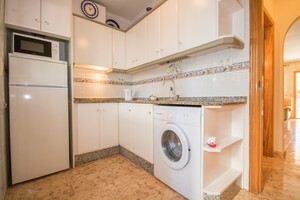 The house is in perfect conditiong and sold as seen in photos, including all furniture and white goods. 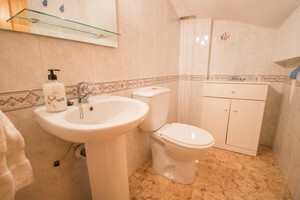 Located within walking distance to amenities such as bars, supermarket, banks and La Fuente commercial center. 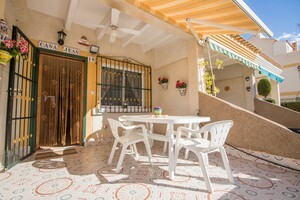 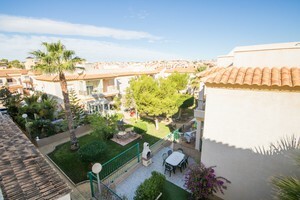 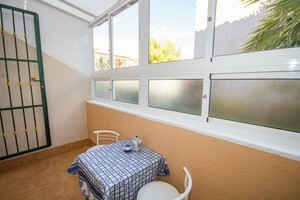 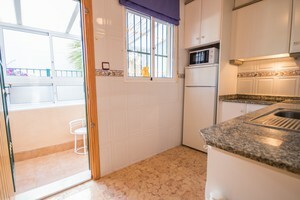 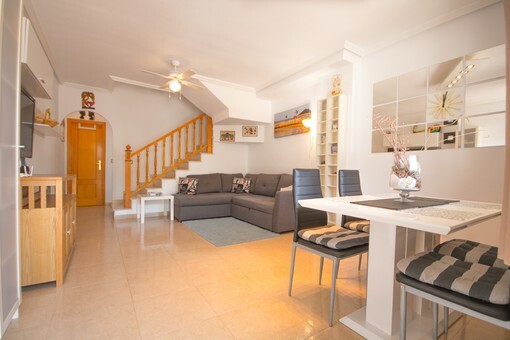 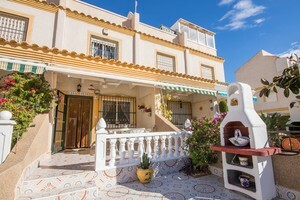 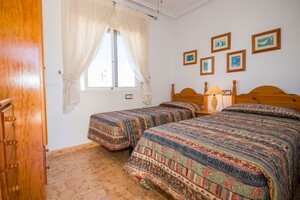 Close to the golf courses of Campoamor, Las Ramblas, Villamartin and the beaches of Orihuela Costa. 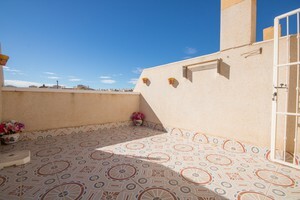 Viewings recommended!